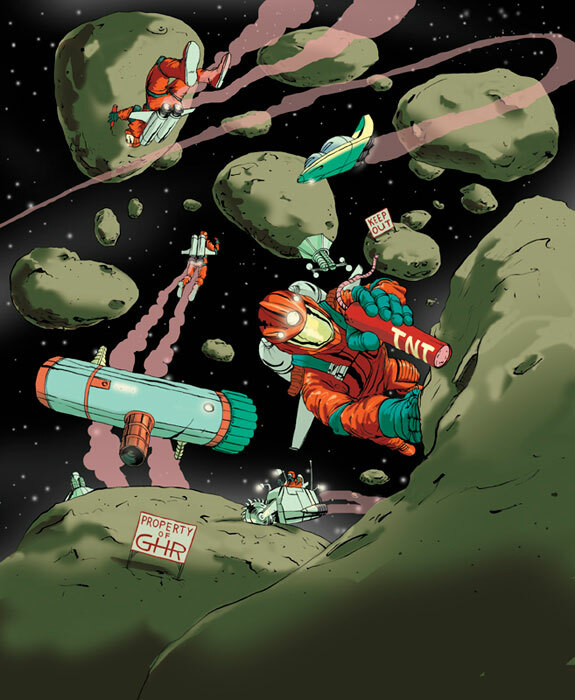 MICHAEL BYERS creates a really fun illustration for Popular Mechanics that gets animated iPad! What a treat to work on this assignment and so excited about the animation. 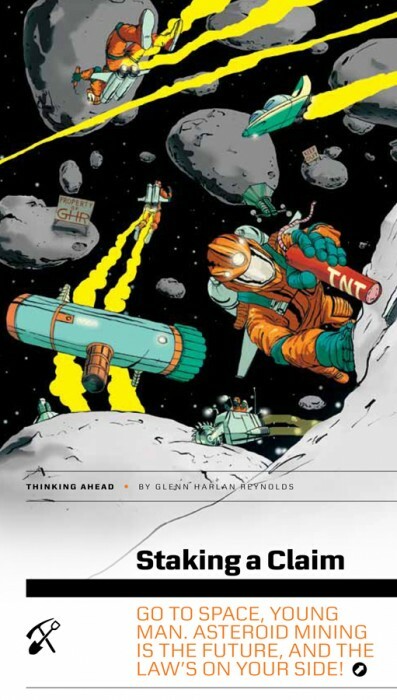 This piece for the Thinking Ahead column is called “”Staking A Claim: Go to space, young man, asteroid mining is the future, and the law is on your side.” Thanks to Michael Lawton for a great assignment and taking it one step further! Check out the animation on Michael’s Behance page here at the bottom of the page where the illo is!